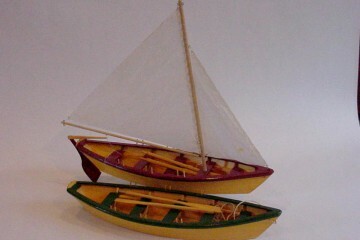 If you would like a detailed model of your favorite classic boat so that it can have a place of honor in your home or office, or if you’re a looking for a very special gift, a beautifully handcrafted model may be exactly what you’ve been searching for. 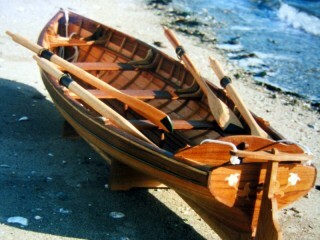 Current projects include a six foot long model of a whitehall pulling boat for a client in California. 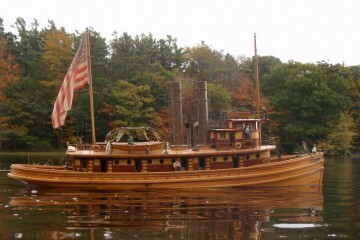 If you have a boat in mind we can build it. 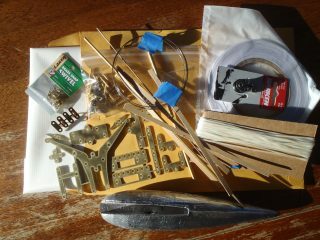 If you would prefer to have the capability of operating your model boat, we specialize in equipping our models with remote control and sail, electric motors or steam engines. Is your prized model in a sad state? 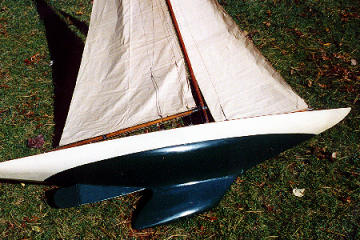 This was a Racing model sailboat An “A” class which is one of the aristocracy of pond yachts. 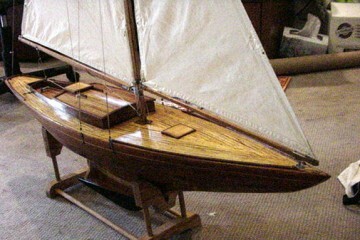 The 75″ long model, built in 1936, was raced across ponds. 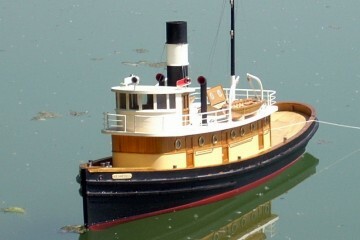 She has a self steering mechanism that helped control her course across the pond. 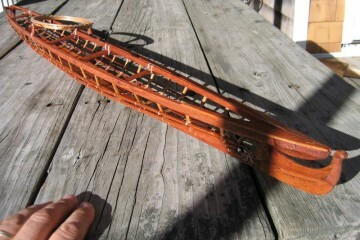 Her keel was busted off but otherwise was in excellent condition including several full sets of original racing sails. I reattached the keel, smoothed and repainted the bottom to match her original color. My client was so thrilled she decided to keep the boat rather than sell it. She asked me to crate it for shipment to her new home in England. I copied the lines from this boat and have computer drawn plans available. If you have a model you would like me to work on, do not hesitate to contact me and I will give you a quote.